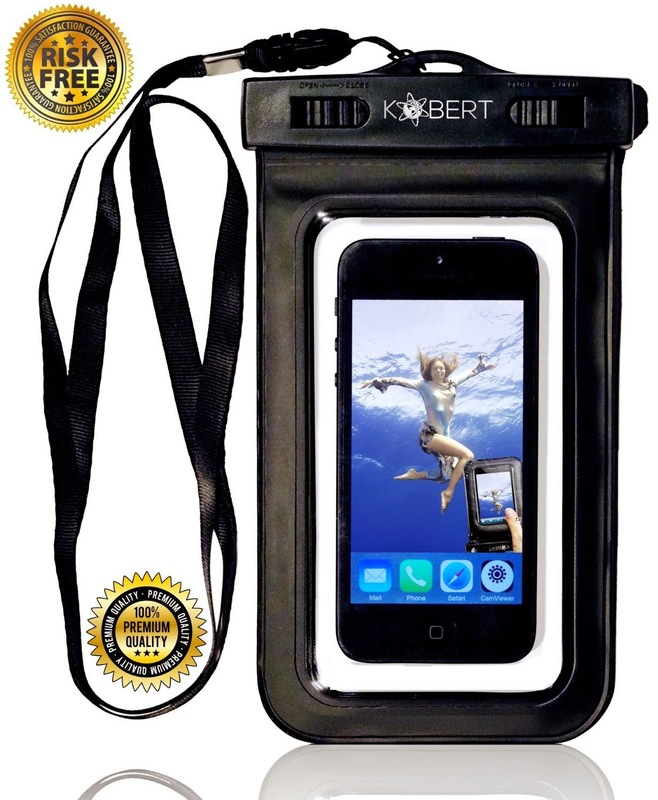 Kobert International sells premium quality mobile accessories The Kobert Waterproof Case is perfect for keeping your cell phone dry while you swim, ski, hike, surf, canoe, snowboard, jetski, fish, or snorkel. This provides you freedom to take your mobile phone with you wherever you are. 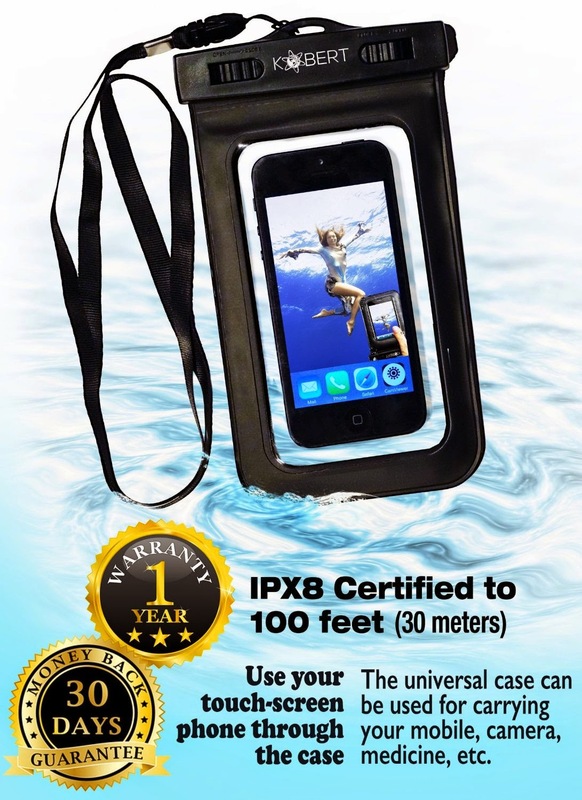 You can even use your phone while in it is being protected in the waterproof case! You can also use both the front and back cameras on your phone because the waterproof case has a see-through window on both sides. Just be careful when you use the flash because the clarity of the photos might be reduced. Oma loves having her phone by the pool. This case is constructed well and easy to use. The $10.99 is a small price to pay for the peace of mind this product offers while using my phone near water. However, the Kobert Waterproof Case is really a universal bag. It is also great for keeping your medicines, camera, mp3 player away from the potentially harmful elements such as water, dirt, and/or snow. 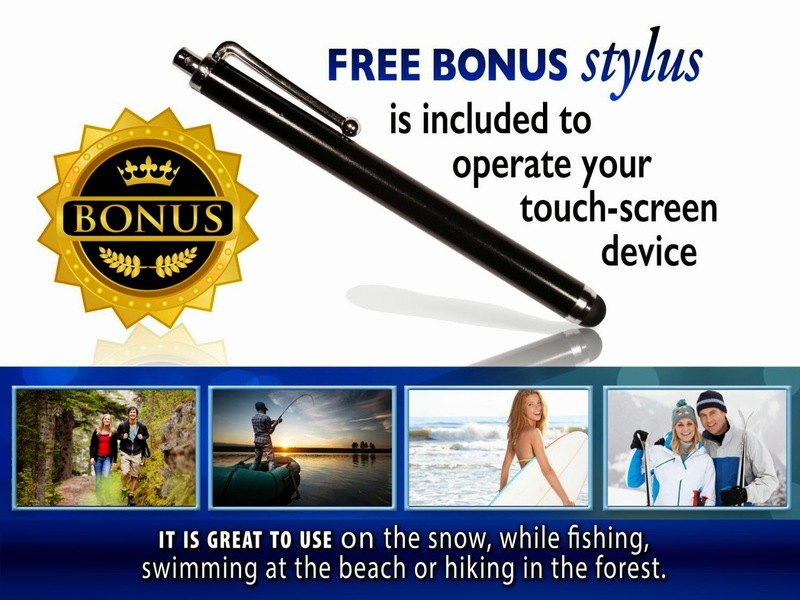 The Kobert Waterproof Case came with a BONUS stylus pen – a very nice added value. Crystal clear see-through plastic on both sides for amazing pictures & movies under the water! Easy access to your touch screen phone while in the case! Universal bag that can be used for any device. Will fit an iPhone 6, 6 Plus(Without Case),5,5s,5c,4,4s,3,Samsung Galaxy s3,s4,s5,Note 2,Note 3,Note 4,Nokia Lumia,Windows Phone 8x,Nexus 4,HTC One/One X/X+ & many more!